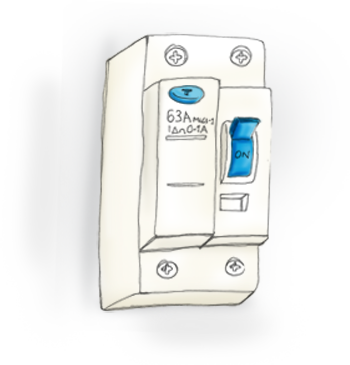 Residual Current Circuit Breaker, or RCCB in short, could prevent any unnecessary and unfortunate death in your family. RCCB is a device in your house that detects and measures current leakage. It is installed in the electrical distribution box inside your house. You might find a ELCB (Earth Leakage Circuit Breaker) in your house instead. ELCB is old technology and is obsolete in the market. It is advised you replace them if you find one. 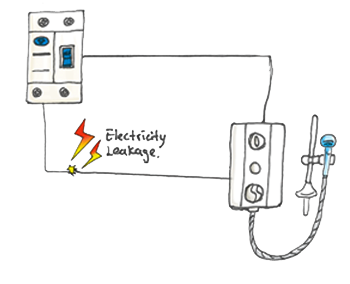 Upon detecting an electricity leakage in your house that exceeds the tripping value, a functioning RCCB will automatically trip and isolate electrical supply in your house. Thus, preventing the leakage current from causing any damage or harm. RCCB is a device that detects leakage current, which is why, it safeguards you from fire hazards, electric shocks, or even worse, electrocution. However, as an electromechanical device, RCCB may subject to failure after a period of time. That's why we need to test it regularly to ensure it is still functioning. How To Perform A Self Test On RCCB? Self-testing the RCCB in your house is simple and easy. This monthly check might just save your life. 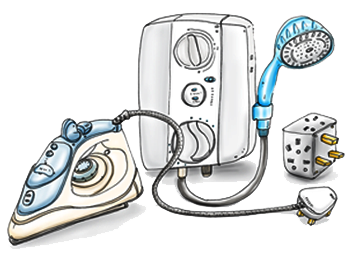 If the RCCB does not trip, DO NOT use any electrical appliances in your house, especially the water heater, kettle and other appliances that have metal surface/contact. Call a licensed electrical contractor IMMEDIATELY.